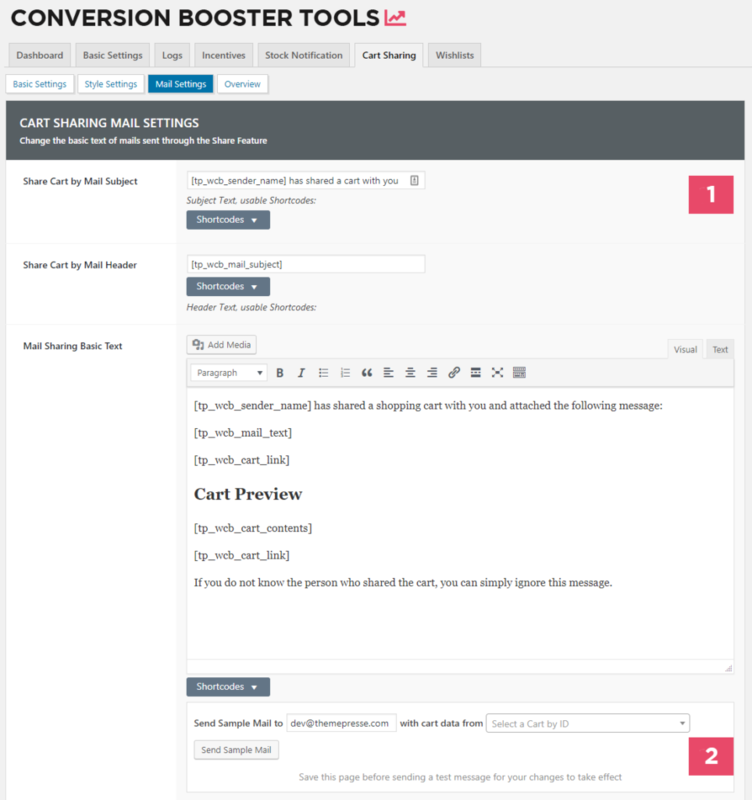 If you choose to let users share shopping carts by filling out the mail form you can define how the mails beeing sent out should look like. You can send a sample mail to an email address of your choosing. 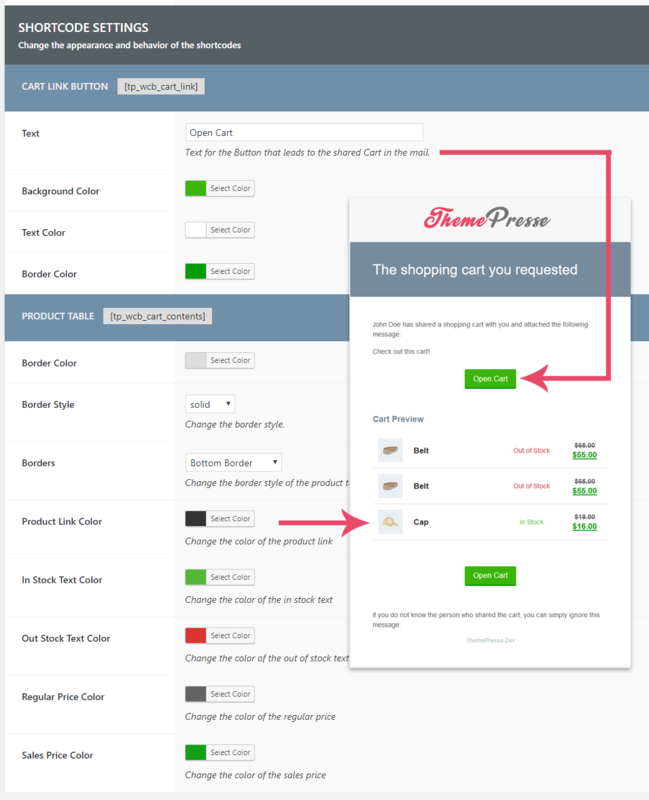 Simply enter the desired mail address and choose one of the stored shopping carts. Please note that you need to save your settings before sending a sample mail for your changes to take effect.